Vitamin A, B, C, D, E ... everyone has heard of these vitamins. But vitamin K? Never heard of it! Vitamin K is, however, of great importance to the body. If you have too little of it in your blood, your blood won't clot properly, which can lead to increased bleeding. In addition, vitamin K stimulates bone and tooth formation and can even help protect against cancer ... So how do you ensure that you adequately supplied with the "forgotten" vitamin K? Another function of the (fat-soluble) Vitamin K: it protects the arteries against calcification by inhibiting the calcium in the blood from depositing calcium in the blood vessel walls. 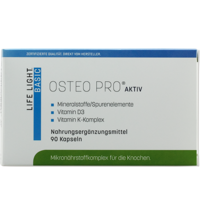 This even works retroactively, that is, vitamin K can contribute to reversing calcifications! Thus, vitamin K is an important weapon against atherosclerosis, cardiovascular diseases, heart attacks and strokes. Whether it is also effective against the formation of kidney stones, has not yet been 100 percent proven. Here are two types of vitamin K: vitamin K1 and vitamin K2, which Vitamin K2 appears to be the active version. Vitamin K1 is found in natural foods, mainly in green leafy vegetables like spinach, lettuce, wheat and spellt grass, the leaves of the beetroot / red beet, all types of cabbage, sauerkraut, avocado and herbs such as parsley and chives. According to numerous studies, vitamin K1 has a proven effect on the risk of osteoporosis by preventing the loss of bone mineral density. 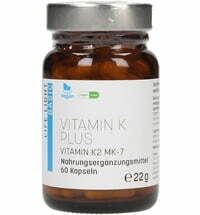 Allegedly, the bone loss can be slowed down by vitamin K by up to 70 percent. For this purpose, however, long-term use is required. 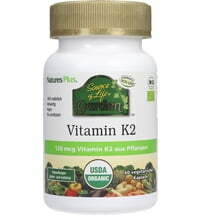 Vitamin K2 is formed from its own micro-organism. Since this happens in the gut, a healthy intestinal flora is the prerequisite for an adequate supply of vitamin K2. Raw vitamin K2 is found in sauerkraut, butter, egg yolks, liver, certain cheeses and fermented (soybean) products. Vitamin K but also has anti-cancer properties: it can stimulate the self-destruction of leukemia cells and help prevent liver cancer.